development of students’ functional abilities. 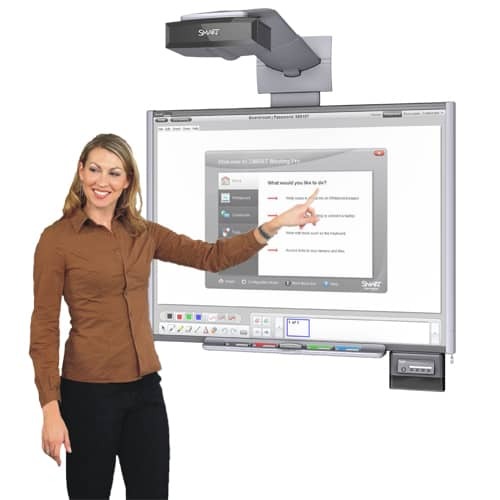 Introduction of interactive whiteboard into teaching practice renders the lessons and the learning process more attractive, dynamic and comprehensive. It allows teachers a higher level of creativity in preparation of teaching materials, facilitates the process of storing, updating and forwarding the materials to students, while helping the students become more fully involved in the learning process. The students no longer need to worry about notes or struggle to maintain their attention at the optimum level, because this mode of teaching primarily encourages their motivation for active involvement in the learning process. Use of IWB in the process of creating teaching materials enables the teacher to use documents from various programs in the workspace, highlight and enlarge the text, place the emphasis on certain segments using the “spotlight” function, as well as use other options designed in order to place important content in focus. It is also possible to save all the changes that have been made during a lesson or keep the presentation in its original form so that the teaching process can unfold in a different way in the next lesson - according to the students’ needs. One can use a “pen” or a finger to circle, write or draw various shapes that can, if needed, be recognised as regular geometric shapes, and the given elements can be rearranged on the surface - the board - using simple gestures, which is especially useful with schematic representations. provide greater motivation for learning.